Topflight Stamps is a place you will find different and unique stamps from aroud the world. Today we have an AWESOME blog hop with some of the best paper crafters in the industry. They are each featuring some of our favorite stamps. Be sure to comment on this blog and all the blogs on the hop to be eligible for the GRAND PRIZE a $50 store credit!!! PLUS - I am giving away a $10 gift certificate to one of the commenters on my post. I will announce my winner here on Monday, April 2. The $50 Grand Prize winner will be announced on the Topflight Stamps Blog the same day. Here are the cards I created for the Birthday Blog Hop! To create my cards I used the beautiful stamp set from the Studio Light - Layered Stamps collection - Chrysanthemum. My sentiments are from the Paper Artsy Lin Brown stamp set. I LOVE this set!! 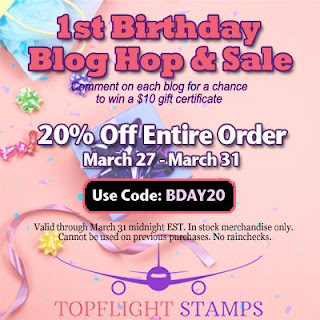 Don't forget to leave a comment on this post because I will choose a winner for a $10 gift certificate to the Topflight Stamps store! Happy Birthday Top Flight !! I love your card,they are so clean and elegant. Hey, that IS a great sentiment set! Thanks for sharing! Love the sentiment you chose. Flowers are nicely done! Beautiful card. Love the stamps. Love your cards. Beautiful flowers. Beautiful colors and textures on these lovely cards! Love the gorgeous flowers! These are soooo pretty! I really love the embossing patterns that you used for each card! And the flowers are gorgeous! Just love both those chrysanthemums and the sentiment set you chose! I also really love the embossing you did for the backgrounds, it really makes everything pop without distracting from the stamps! Beautiful cards. Happy first birthday to Topflight and thank you for sharing your talent on the hop! I love how you fussy cut the beautifully colored flowers and leaves out. The sentiments speak volumes. Lots of creativity in these cards...love all the work put into them. Your cards are so pretty! I love your choice of stamps, especially the Chrysanthemums. Beautiful work! So soft and inspirational. Beautiful cards! I love that Chrysanthemum stamp! Such pretty cards and stamps! Well done! Love these stamps. Nice work! 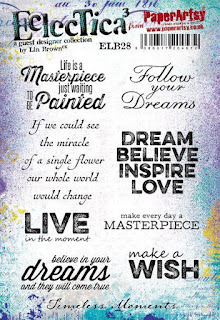 Veronica,these are beautiful cards and perfect sentiments! I LOVE these stamps! ! Love your stamp layering cards, I will have to give these stamps a try! Lovely layered flowers and the embossed backgrounds are gorgeous. I am not familiar with Studio Light. Can't wait to see what else they have. Love the cards and sentiments. Love your CAS cards - so simple and elegant. The colors are fabulous! Love the texture and the flowers, fabulous work! oh, i was excited to see your cards were embossed! i love the patterns on embossing folders and have several. i just don't always know the best way to use them, but you've created such beautiful cards! and now, i have some ideas, so thanks!!! What wonderful stamps. I need to check them out! so simple and elegant - beautiful cards, love the colors. Thank you for sharing with us your creativity! Beautiful cards! I really like the embossed detailed you used and the stamp sets are awesome. Wonderful cards!!! I always love finding a good sentiment set!!! Love the flowers on these cards, also like your backgrounds. I don't always use some of the background stamps I have and will have to start thinking of them when I start a project. What a beautiful layering stamp set! Your turquoise flower turned out sooo pretty! Happy 1st Birthday, Topflight! I look forward to being a customer for many more wonderful yrs to come! What beautiful cards! Studio Light is a new-to-me stamp company - what beautiful layered stamps! I love all the wonderful new stamp companies I've discovered via Topflight! Wonderful cards with this chrysanthemum stamp. I like the colors too. Lovely cards. Happy Birthday Top Flight! I'm a sucker for basketweave. LOVE it. 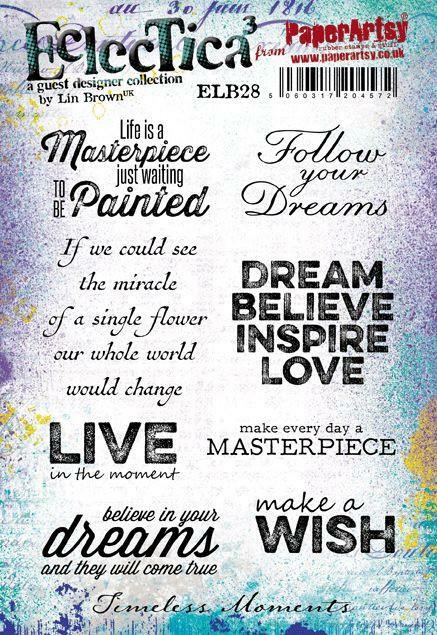 great textured backgrounds and love the bold chalkboard style sentiments. That stamp set makes the prettiest flowers!! I love the blues too though. Your cards are very nice! Love your cards but the first one with the basket weave embossing is my favorite!! Thanks so much for sharing, excellent job!! fun sentiments from Lin. thanks as always for sharing. Happy Birthday and I love these cards. 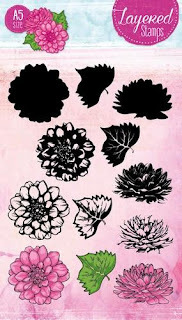 Love the sentiments and flower images as well! Lovely! I didnt see a msg my post was completed. Just wanted to say, I love the beauty of these stamps. Gorgeous! What beautiful flowers! Love your cards. The layered flowers are some of my favorite. Thank you for doing this. I love someone with Autism, too, and I totally get what you mean when you say you feel lucky about Cameron. Isn't this craft just a wonderful way to express oneself??? I am so excited for this blog hop!! I am a teacher who has had many special kiddos with ASD in my classroom over the years. Some of the most special kids and always in my heart! :) Already ordered Taylored Expressions’ new stamp set benefitting the Autism Society-I saw a sneak peak last week of a card made with this set and decided then I NEEDED it! And finding out that it also is benefitting a great cause makes me happy! The best part is that TE has such quick shipping I should get it in a couple days! YEA!!! great cause! so happy to see so many crafters and companies stepping up to help you! Beautiful card. The coloring is gorgeous and love the flowers. Love your cards and the blue striped ribbon. Especially love that the hop is to raise awareness for Autism. Spectacular! I just bought my first stamp from Topflight stamps. It a cloud background stamp. And its AMAZING!!!! !